At the end of last month, we attended SharePoint Fest DC, a two-day training conference with more than 80 sessions featuring many of the country’s leading SharePoint experts and solution providers. 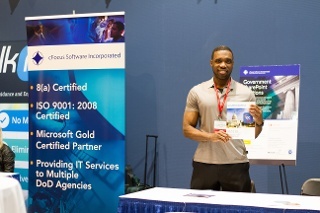 We thought the conference, which took place April 27–29 at the Washington Convention Center in Washington, D.C., was a great experience and gave us a wonderful opportunity to network with senior-level SharePoint administrators. The cFocus team also enjoyed learning some new SharePoint tips and tricks! What is BI, and why do you want it? Why use SharePoint to create BI solutions?